How can computer vision help brands understand the impact of major social media events like the Singapore Formula One? 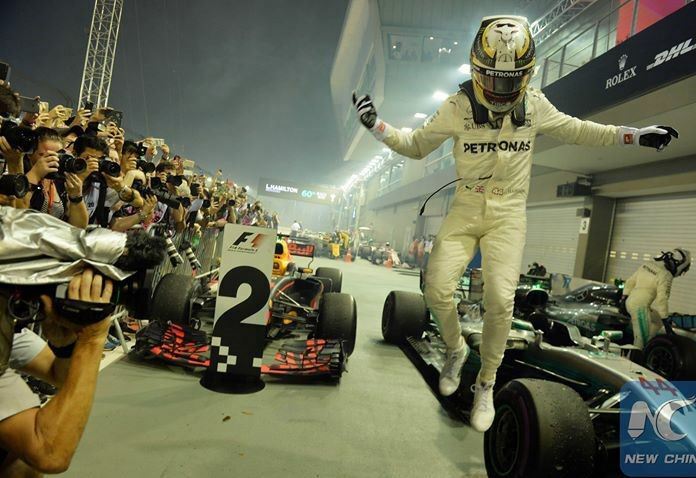 The annual Formula One Night Race at Marina Bay Circuit in Singapore is the hottest sporting event of the year, and the 10th anniversary of the F1 was an even bigger celebration, culminating in an agreement to hold the F1 for at least another four years. In its first ten years running, the race brought over 450,000 international visitors to Asia’s most famous city-state, garnering about 1.4 billion Singapore dollars in tourism spending. 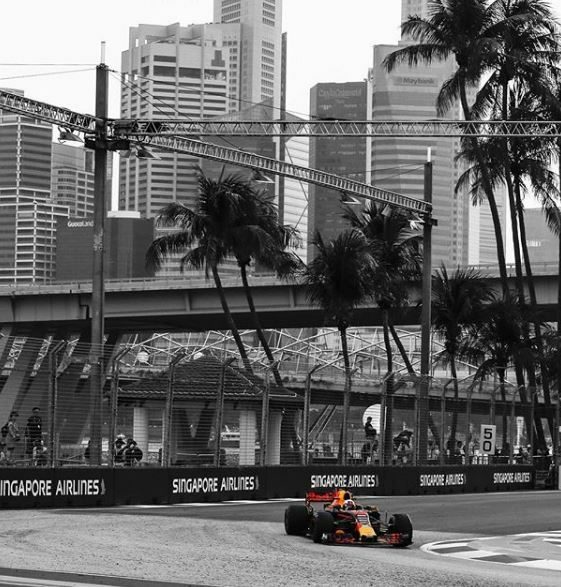 Singapore not only benefits directly from the tourism, but local sub-contractors also take a large chunk of the value, since Singaporean companies receive 90% of the contracts to plan and operate the event (1,2Singapore to host the Formula 1 World Championship until 2021). Still, this represents only a small part of the money earned from Formula One. The F1 is a place to be seen and heard, over the roar of race cars and the nightly celebrations that accompany it. Sponsors, teams, and drivers are exposed to tens of thousands of people in the grandstands, millions on television, and even more on social media. Until recently, marketers relied on traditional metrics for calculating exposure and return on marketing investment. But over the last ten years, consumer posts on social media platforms like Instagram, WeChat, Facebook, and Twitter have amplified this exposure massively. This rapid intensification of photos and videos on social media has created an opportunity for brands. Photos and video posts are more viral than text posts alone, but in Singapore and Asia’s diverse and multilingual environment, they are even more important, both in terms of visibility and as an indication of consumer attitudes. The problem is that many of them include very little text for social media software to analyze, leaving this vast source of insight largely untapped. How does computer vision help brands take advantage of this resource? Using machine learning, our social listening software can identify objects, scenes, attributes, or emotions, and transform them into text-based keyword groups. This makes it possible to include images without text in the analysis, which can represent 30% or more of social media content on a topic, as seen through analysis performed by Linkfluence. A human can easily interpret this photo as a driver stepping out of his car. She may even recognize Lewis Hamilton. However, computer vision analysis “sees” patterns that can then be classified into subjects, such as “Hamilton”, “F1”,”night”, “Petronas”, “camera”, “race car”, “Rolex”, and “DHL”. When this photo is shared on social media, it is unlikely to include an explicit brand mention or hashtag, so for major brands, the ability to detect a logo is as valuable as being able to measure the impact of a television ad. Such a post can reach just as many consumers, and often those that weren’t watching TV. 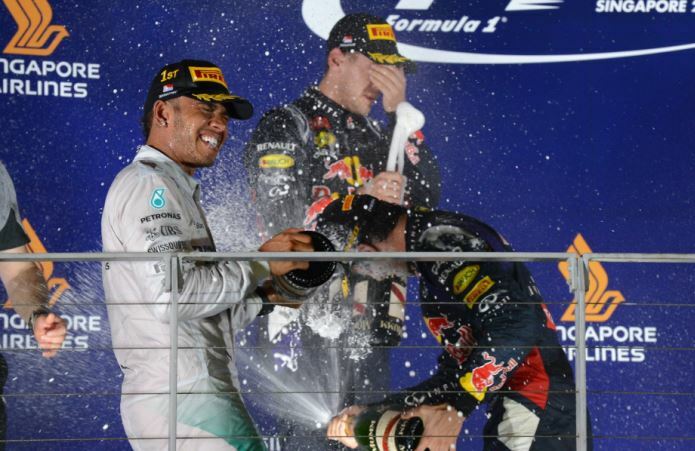 This photo is taken from the official Formula 1 Twitter account, which has over 3.4 million followers. The post garnered 188 retweets and 873 likes. Without computer vision, brands might not know how many people were exposed to their logos. On the Wednesday before the race even started, the brands visible in this photo reached approximately 252,000 Formula One fans on social media, and since there are thousands of photos like this posted throughout the event, this represents a major media channel. Even though Formula One drivers and teams are the main attraction, some brands achieved greater reach despite being lower-tier sponsors. Singapore Airlines, for example, gained more reach than Red Bull even though it was mentioned less frequently in text. Singapore Airlines is highly visible in the image below, which received 63K likes, even though the brand was not mentioned as a hashtag or other text accompanying the photo. While logo recognition alone is a powerful tool, even deeper analysis is possible via the detection of contexts, such as a restaurant or bar, a store, or a sporting event. For example, detecting objects like buildings, beer bottles, or jewelry is also a way to understand the moment of consumption or discussion. Another example of a concrete application for computer vision is the detection of the number of people in a photo, which allows the estimation of the size of an outdoor crowd participating in the event. 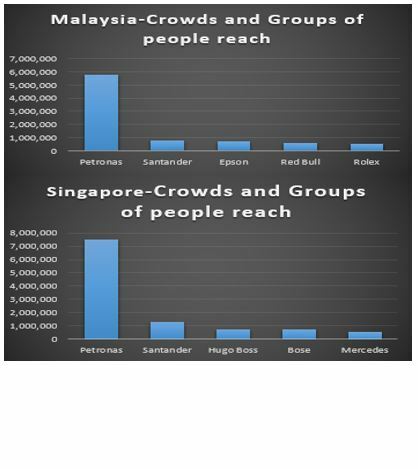 In terms of out-of-home exposure as calculated by crowd size present in social media posts, Petronas beat other major brands, including Singapore Airlines, Red Bull, and Rolex. Brands are present throughout billions of posts on the internet, both in images and text. Since the beginning of the web, social listening has been key to understanding this media channel. Thanks to new advances in computer vision technology, brands can better see the full extent of the visual web. If you would like to learn more about how to generate insights from computer vision or if you have any further questions, please get in touch!